Hi folks, how is everyone coming on their blocks? Hopefully you all have your stars done. If not, you can make it up this week, because this weeks block is an easy one. 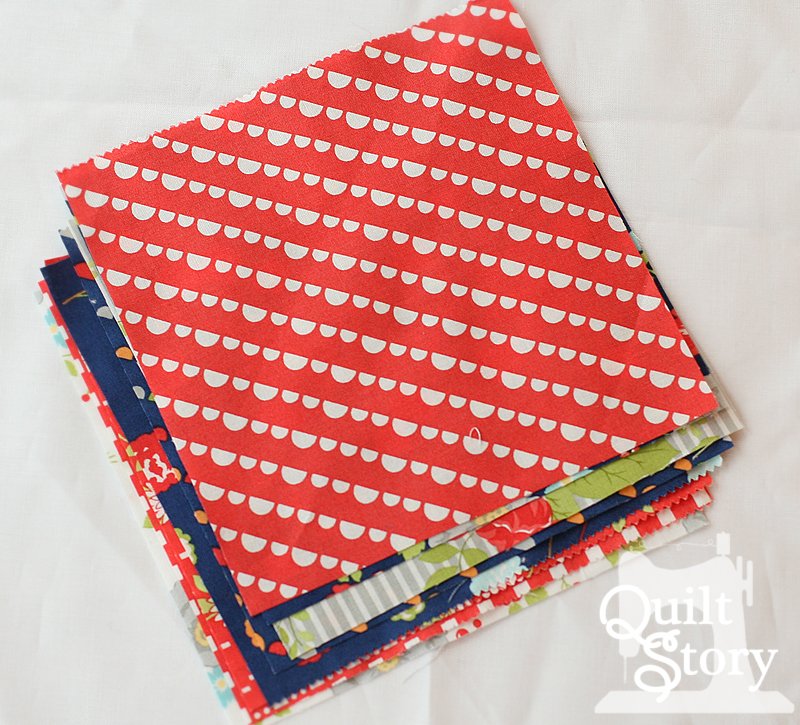 It is not too late to join is in the QAL! See these links to catch-up. 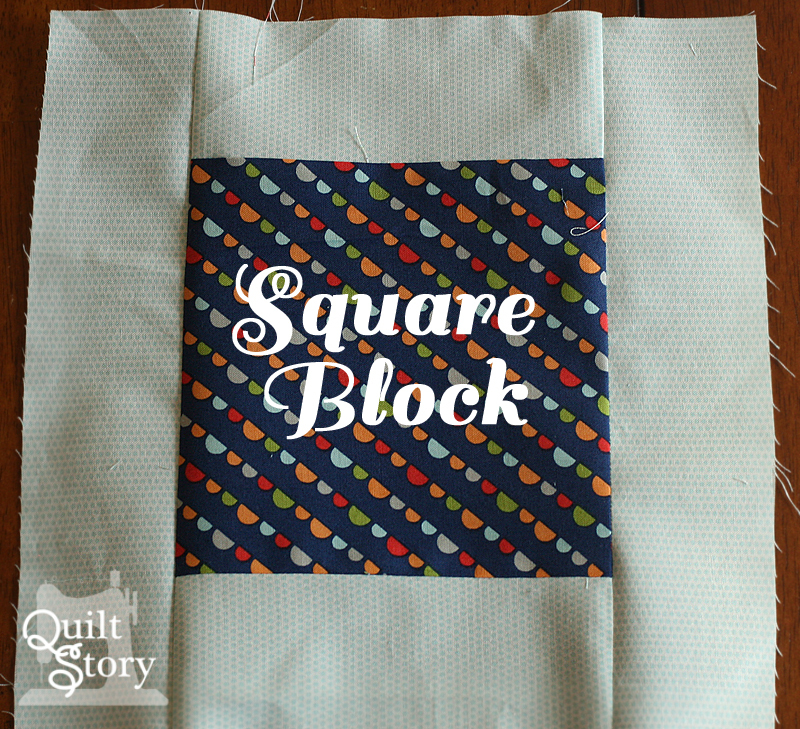 Today's block is the Square Block. You will be making 8 of these. 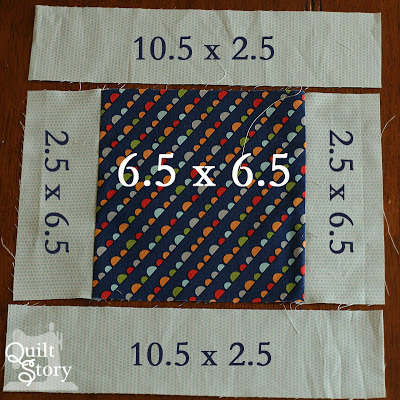 Take your variety of 8 6.5" x 6.5" squares. 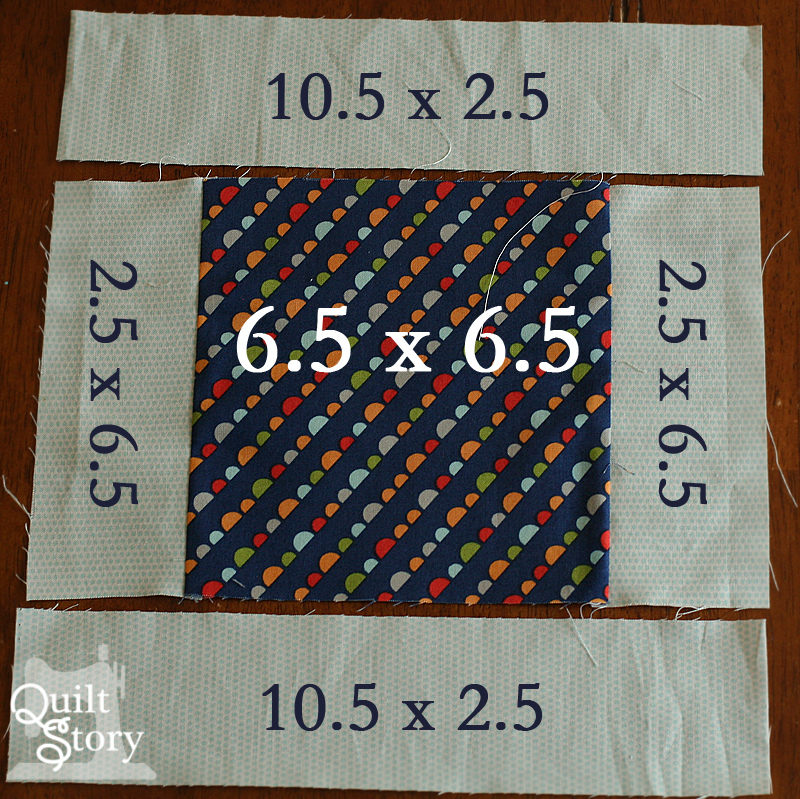 Next, add a 10.5" x 2.5" background strip to the top and bottom of the unit. Press towards the dark. Glad it is an easy block this week. I'm finally ready to jump in and play. Although, I'm still deciding which fabric to use. Maybe by the time I hit my sewing machine, I will have figured it out. Is there a flickr group for this? 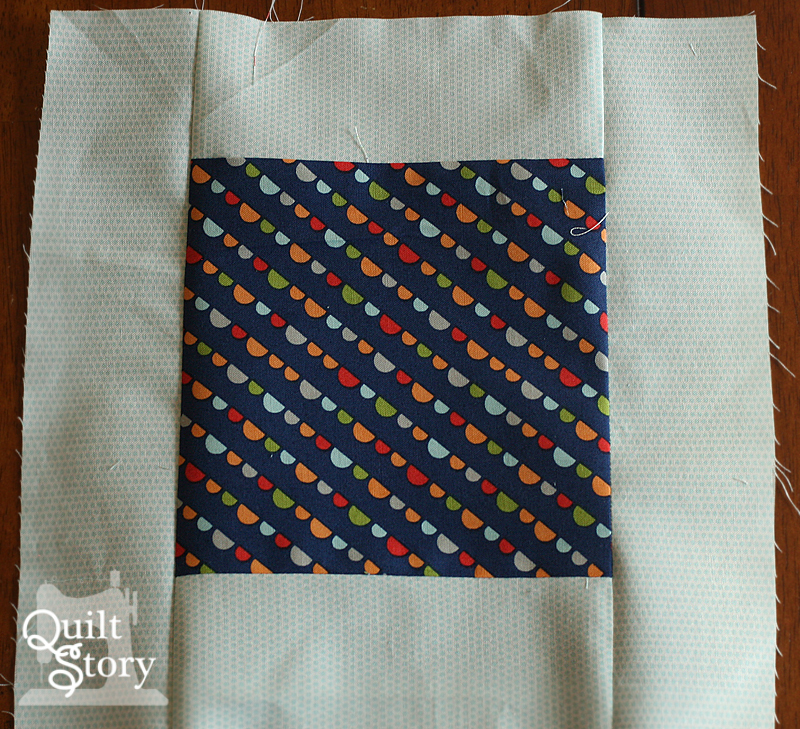 I finished my square blocks and half my patch blocks. Hope to start some star blocks today. This is a pretty quilt. Thank you for doing this quilt along. A Joyful Soul Fabrics Belle Giveaway! Annie's Skirt New Pattern and Fab Tues! Carnaby Street X Plus Quilt! Fabric Tuesday, you guys are AWESOME!